Deng Xiao Ping was a great Chinese leader of vision who once said, "The truth is found only in the facts". 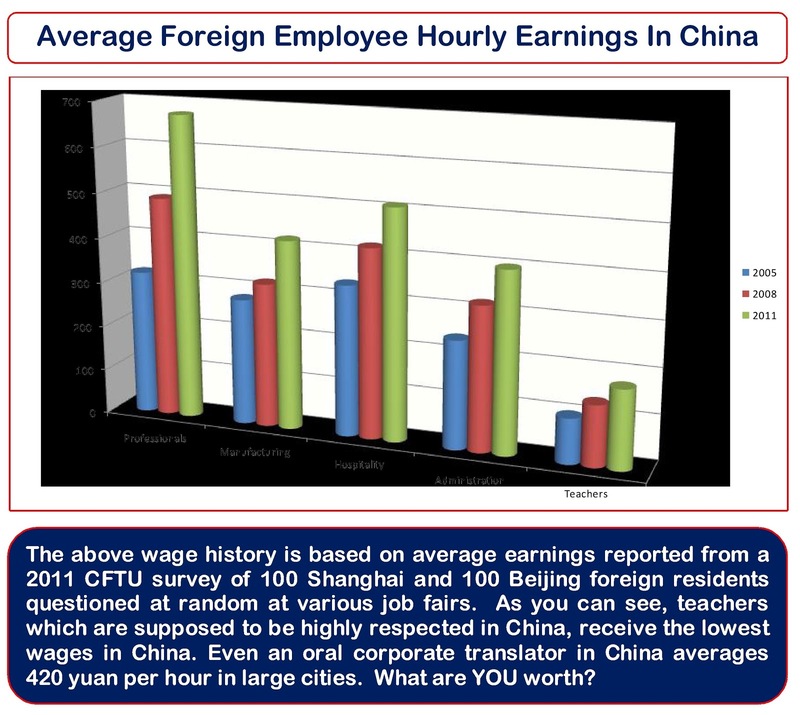 The facts today are that while wage increases in China have averaged 19.4% - 21.7% (depending which report you believe) over the last five years, wages paid to foreign teachers in China has almost remained static with only a 1.5% average increase during the same time period, even while inflation increase by more than 5% in the same time frame. This equation is not equitable for foreign teachers in China who now earn an average of 12,000 yuan per month or roughly $16 per hour. This is precisely why the CFTU is pushing hard to establish a minimum hourly wage of 250 yuan per hour for degreed native English speaking foreign teachers, and 200 yuan per hour for those that are not. 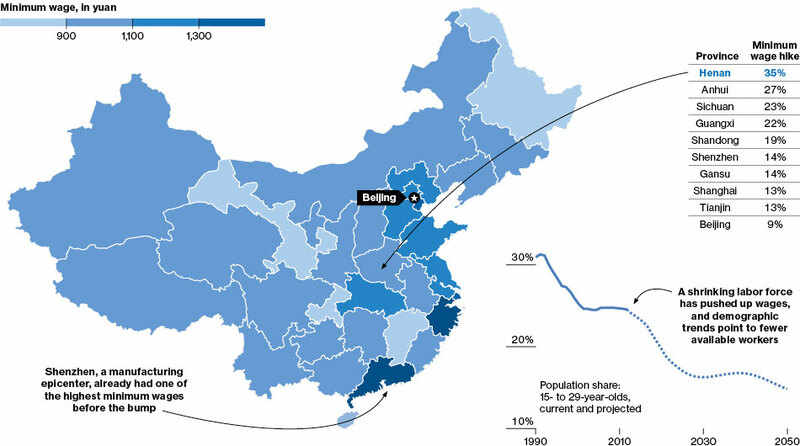 The below graphic from Business Week show the growth of non-teaching wages across China. 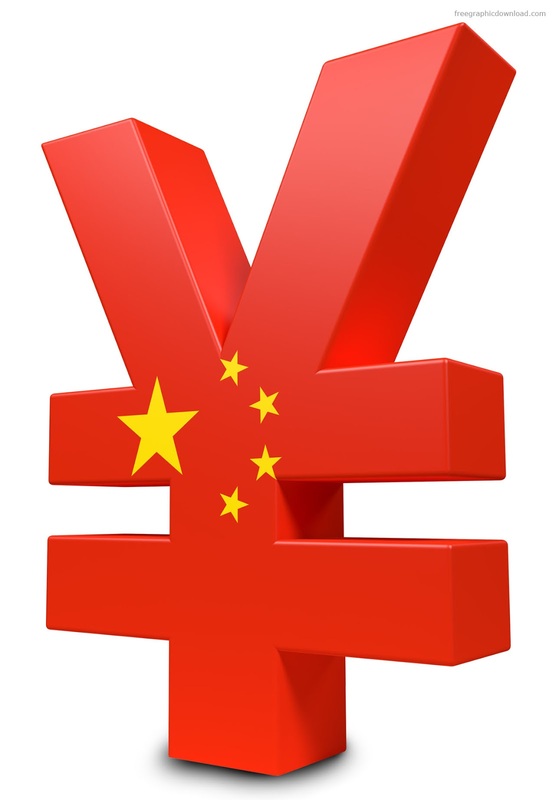 Further, because China's has the most volatile inflation rate in Asia due to a largely government- supported economy (SOEs are mandated to buy real estate every year for example), and foreigners are forced to rent (not allowed to buy properties for five years after landing in China), it makes it very undesirable for foreign teachers to remain in China if not allowed to make more money than they have to expend on monthly bills. By contrast, foreign teachers in Dubai, Abu Dhabi, and even Japan earn an average of $4,000 per month or 27,000 yuan. Why are there no comments? I don't know, can you see mine? How do i become a member of this website? I appreciate the work that you are doing! I wish to ask? Having been teaching in China since 2008, at Unis,Colleges, High Schools, my last position was not very good. I was too isolated and lonely, not allowed even to have my Chinese Girlfriend visit me. It was too much for me, and I left without finishing my Contract. I have since been informed that I am Blacklisted. Is there anything I can do about this? Stay tuned as we are following-up on some more leads about how this black-list works and who can access it. Do you have a pdf version of the Recruiter/Agent reply letter? All the spam ads on the internet for teaching jobs!!!!! Is there a site where we can find direct contact info for China schools and universities? Hello, any alternative email address? China Foreign English Teachers Union. There's other things to be taught than English. As your whole proposal for salaries means a European PhD would be having a minimum salary of 200 RMB /h on the same level of a Yankee truck driver is rather ridiculous.